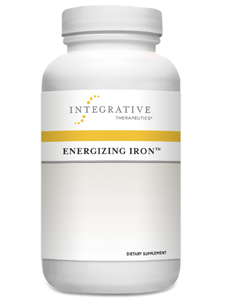 Energizing Iron is a source of nutrients to support the body's need for iron, vitamin B12, and trace minerals. The iron found in this supplement is heme iron which is more easily absorbed by the body and more gentle on the stomach than other supplemental iron forms. Produced from beef liver obtained from animals raised in Argentina, Energizing Iron contains no chemical sprays, pesticides, or antibiotics from livestock feed. DIRECTIONS: Take 2 softgels twice daily, or as recommended by your healthcare professional.